Do You Need Your Roof Checked To See If There Is Damage On Your Roof? Home » Don Schmidt Roofing Blog » Do You Need Your Roof Checked To See If There Is Damage On Your Roof? At Don Schmidt Roofing we provide fair quotes for your roof damage so it can be fixed as soon as possible. Because finding damage on your roof can be very stressful and most of the time it comes at the most inconvenient time of your life. We are also more than glad to help you prepare ahead so you don’t have an emergency roof repair need. Need help? Don Schmidt Roofing would love to earn your trust and help you with your central Florida metal roof repair. 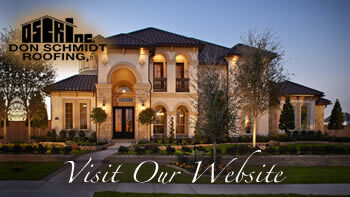 Call us at 407.892.9884 today or contact us online at www.DonSchmidtRoofing.com. We are a local family owned business serving central Florida since 1988 and an Osceola county resident since 1959. Put your roofing project into the hands of a contractor you can trust.